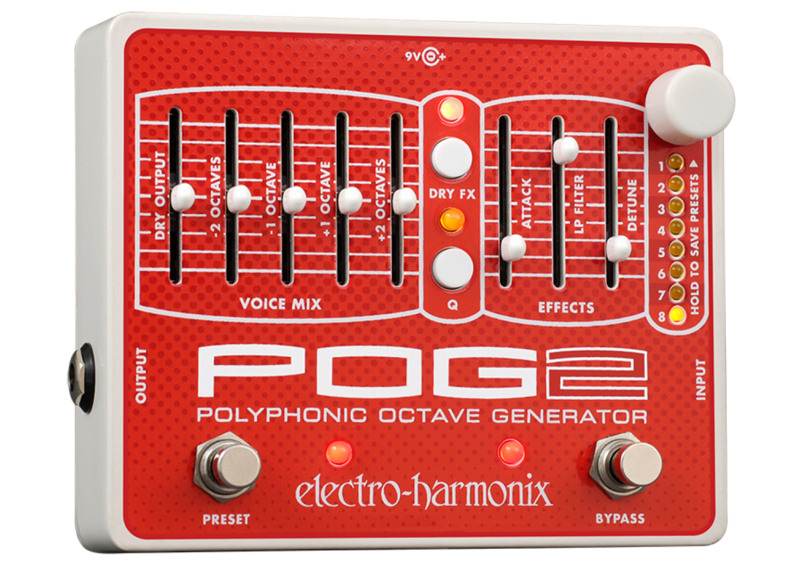 The Electro Harmonix POG 2 pedal has taken a new level to a new level. When the POG was first released in 2005, it brought effects to a heights never before seen, and the POG 2 just adds to the experience. With a second Sub octave, deep growls are easily acheived. 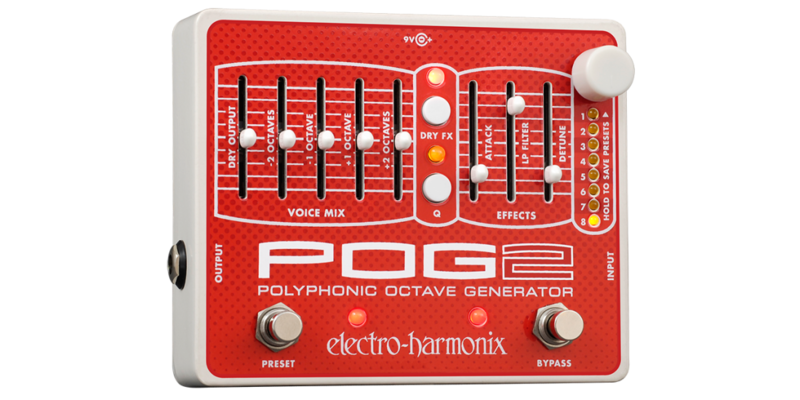 With sounds ranging from an 18-string guitar, to thick symphonic sounds, the POG 2 is unmatched in sound variations.